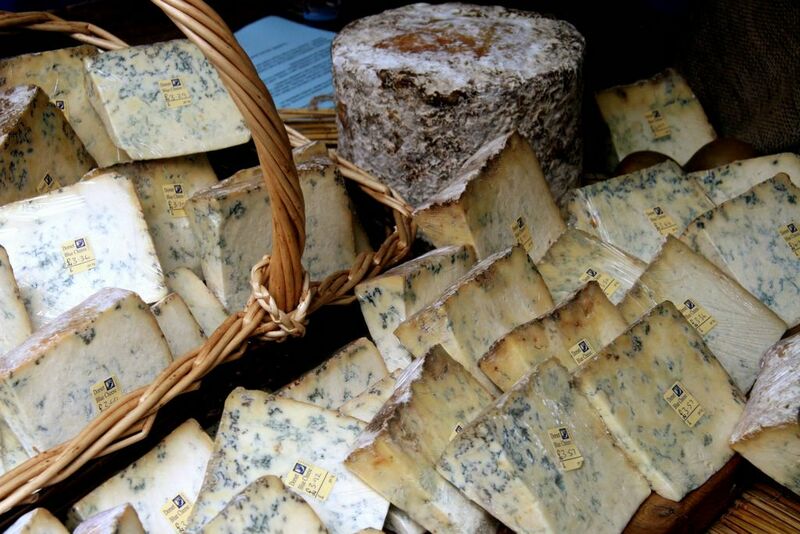 On Wednesdays, in an old and historic part of English west country city, Bristol, a farmer's market is held. 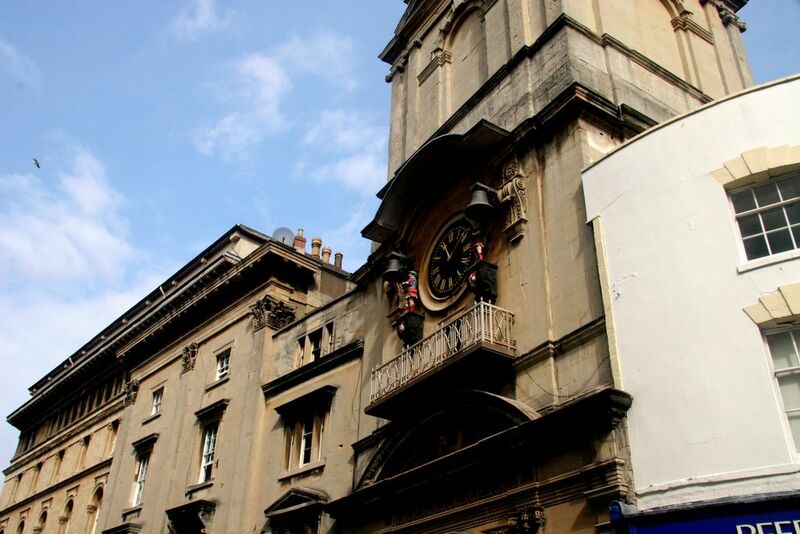 The setting is in a central part of town called the Corn Exchange. In the old days this is where merchants would come to make deals. To this day, you can still see what are called the nails. These are flat-topped large bronze pillars. It was on the top of these nails that money exchanges used to take place. The nails are smooth and worn on their surface, from hundreds of years of use. These days you might find them being utilized as a resting spot for a box of apples on market day. Over a dozen stalls are set up on the pedestrian-only cobbled street between a maze of ancient buildings. There is even one of those clocks that you always imagine in European town Squares, which once a day make a song and dance about telling the time. The Bristol Farmer's market is quite a departure from what I have become used to in San Francisco. It's more down-to-earth, much smaller and certainly less touristy. Take a look at the English vegetables and fruit. In contrast to California's current Spring bounty, all that is on offer at this time of year are apples, pears, cauliflower, leeks, carrots, purple sprouting, cabbages, swedes and a few sprouts. Despite not having the range and variety of our Californian market, Bristol's still has a good heart. 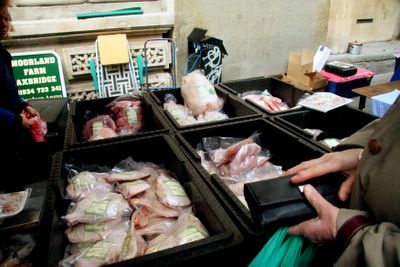 Bristol is the home of the The Soil Association, the UK's leading campaigning and certification organisation for organic food and farming, and about 20% of the food sold at the market is indeed organic. All the stall holders are friendly and helpful. This market isn't a fad or a new enterprise. It has been here for years and was last year voted Second Best Market in the UK. 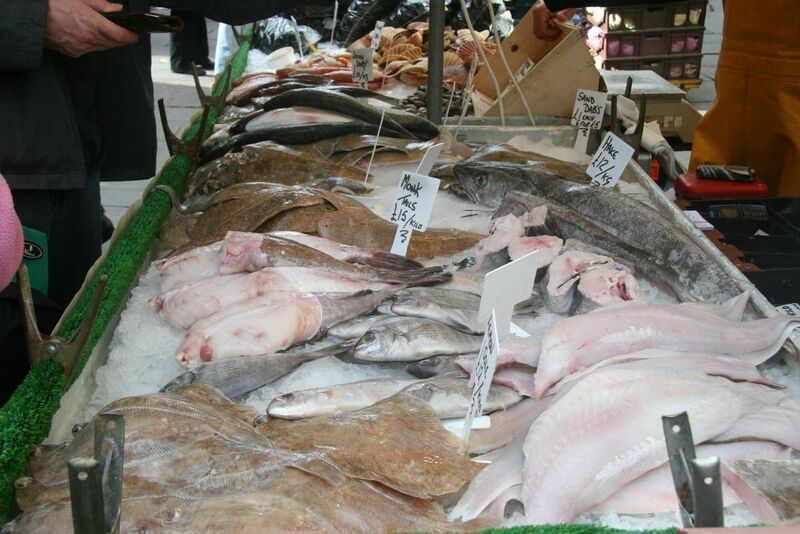 Beautiful fresh fish caught off of the English coast are on offer. Granary is a popular loaf here too. Not something you see in the States, the Granary loaf is the most common cause of unplanned trips to the dentist in the UK. The bread contains nibbly, whole pieces of grain which have the reputation of damaging fillings. The brown bread is soft and chewy with a yeasty flavour and a crispy crust. It's a shame you can't carry fresh foodstuffs on board an International aircraft! Welcome back, Sam! Here's hoping you are feeling much better. Glorious photos! hi! i stumbled on ur blog purely by chance. i used to study at bristol and i miss the food market so much! bristol is a beautiful wonderful yummy city and i'm glad u showcased it. thanks for bringing back the memories! Wow that post brought back memories! I was a student at Bristol University from 1981-1984. Last time I saw the Farmers Market there was in the Spring of 1984!! I used to go down there to buy fruit, veggies and seafood. My standard meal after visiting was to bake a fresh mackerel in foil with slices of lemon, garlic and herbs. As for variety - all too true - California spoils you for just about anywhere else in the world. However, I bet the potatoes and apples at the market were better than the ones you can get here. I would happily never eat another apple - NO MATTER WHAT KIND OR FROM WHERE - if I could get a regular supply of real Cox's Orange Pippins. I actually planted a tree in my front yard last year but I don't have much hope - they like it colder than it is in California. 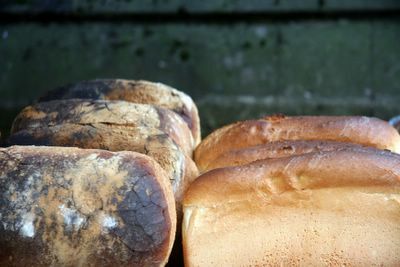 As for granary bread - I LOVE that stuff - it is the one British Bread that I think is truly original and worthwhile (I am excluding the multitude of cakey, muffiny, crumpety things that are all worthwhile). thanks for the comments everyone. I am glad the phots of the market have stirred up some good memories. Owen - I am glad you have confirmed for me the age of the market. I was thinking I could remember it there in the 80s, but I didn't want to state it in my post in case I was wrong. I couldn't find any info re how old the market actually is. You must have been in Bristol the same time as me - i moved away in 1985 to go to college. 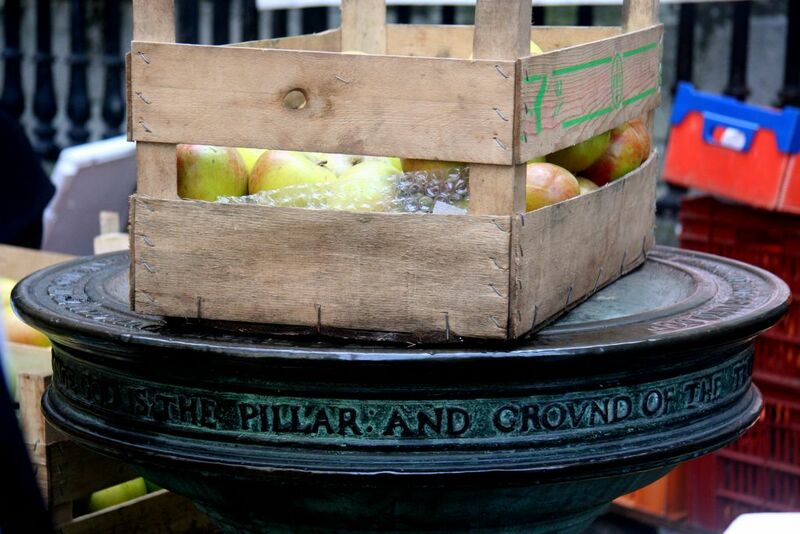 And - oh - yes - cox's orange pippins. Please let me know if yours bears any good fruit. I'll be at your doorstep begging for one! 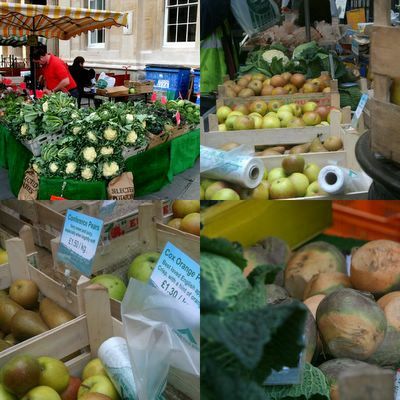 Corn Street is a bustling market but did you know that not far down the road in Bath is where the first-ever Farmers market started? Its celebrating its 10th anniversary this September and is a real institution around the south-west. 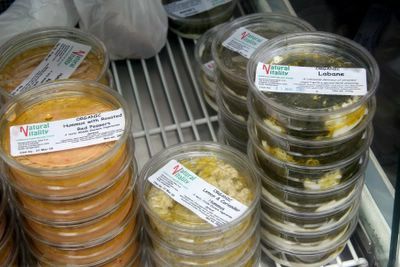 We used to sell our home made pastas, pesto and panna cottas there but have since taken up residency nearby in our own little deli - you should drop by if you're ever back in the region! Del Sole - maybe you can shed some light on something for me - Since I remember going to the bristol market on Corn street 20 years ago, how come they always claim the first was only 10 years ago? There was another one in Greenwich I used to frequent more than 10 years ago too. that 10 years Bath was the first farmers market is a lie that has been banded about so much that everyone now believes it to be true. I know for a fact it isn't. I might be back that way next month. we will see. Only just noticed your reply, sorry! 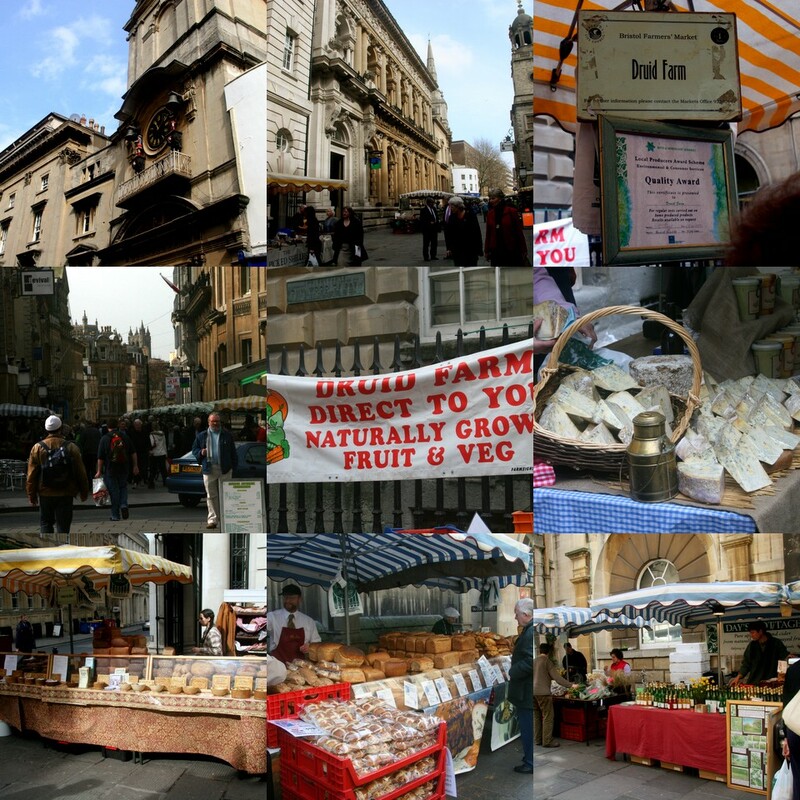 I think Bath claims to be the first Farmers Market i.e. with specific rules about who could and couldn't have a stand there. One of these is you have to be a producer based within a limited geographical area of the market itself, so the market is truly 'local'.